The complete sightseeing pass to Osaka! Entry is as simple as showing your pass, with no prior reservations needed! All kinds of Osaka gourmet dishes are waiting for you around big stations! Are you going to be in Osaka for a day or two and want to see the city's best sights? If so, then the Osaka Amazing Pass is for you! 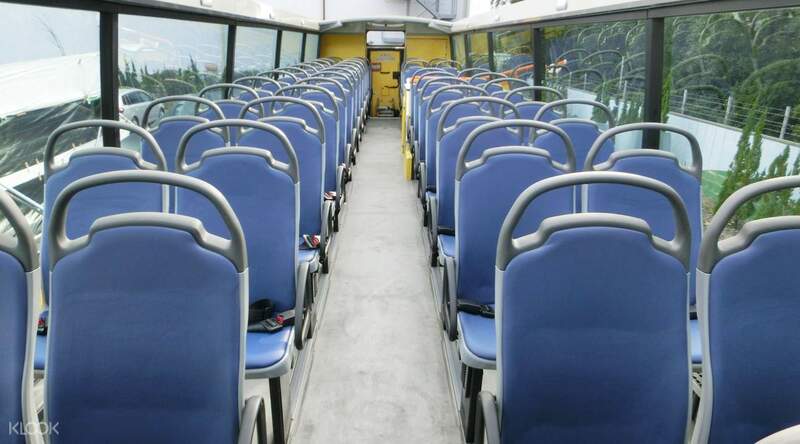 The pass gives unlimited use of the Osaka subway, tramway, and bus network plus entry to dozens of Osaka's top tourist attractions for a duration of either 1 or 2 days, giving you huge savings during your trip. Choose from some of the city's most iconic landmarks such as the Osaka Castle, Osaka Zoo, or the Nagai Botanical Gardens. Alternatively, you can take a trip on the famous Tombori River with a classic river cruise or a Tombori River jazz boat tour. The pass also comes with a guidebook and coupons that provide special offers and discounts at a number of shops and restaurants in Osaka. The perfect all-inclusive pass for those looking to make the most their Osaka experience! 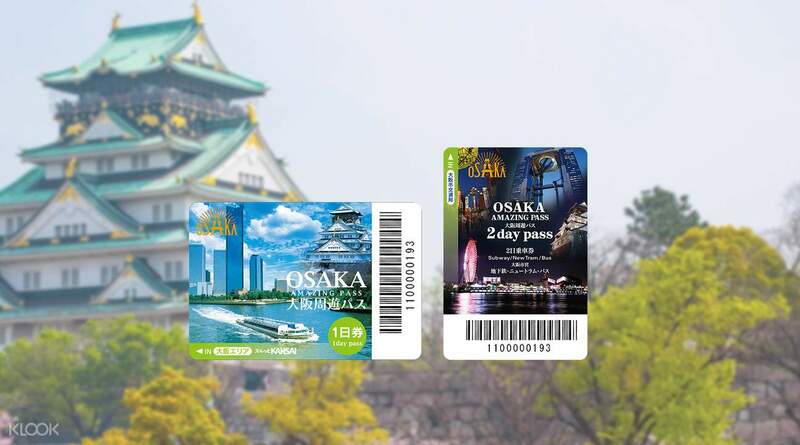 See the best and brightest sightseeing destinations in Osaka with this Osaka Amazing Pass! Go on tours, experiences, and more at great discounts at the best value for your money! Enjoy 1 or 2 days of fun and adventure in this beautiful, brilliant city! The place for redemption is pretty hard to find, but asking the information counter in the market will point u to the right direction. The pass was rly convenient and gets you into many places. Highly recommended! The place for redemption is pretty hard to find, but asking the information counter in the market will point u to the right direction. The pass was rly convenient and gets you into many places. Highly recommended! Can't stress enough on how amazing this amazing pass is 😆I get to ride Hep Five Ferris Wheel, Tempozan Ferris Wheel (do check out their see through gondola! ), went to Osaka Castle, Kuromon Market and many more! If you have any hesitation on buying this pass, stop that, just buy! Can't stress enough on how amazing this amazing pass is 😆I get to ride Hep Five Ferris Wheel, Tempozan Ferris Wheel (do check out their see through gondola! ), went to Osaka Castle, Kuromon Market and many more! If you have any hesitation on buying this pass, stop that, just buy! Super convenience two days pass for my Osaka trip! Mostly used for the Metro rides and some of the free attractions. It is much easier if you know which lines can you used to reach your destinations, but if you lost, the station’s officer always helpful to guide you. 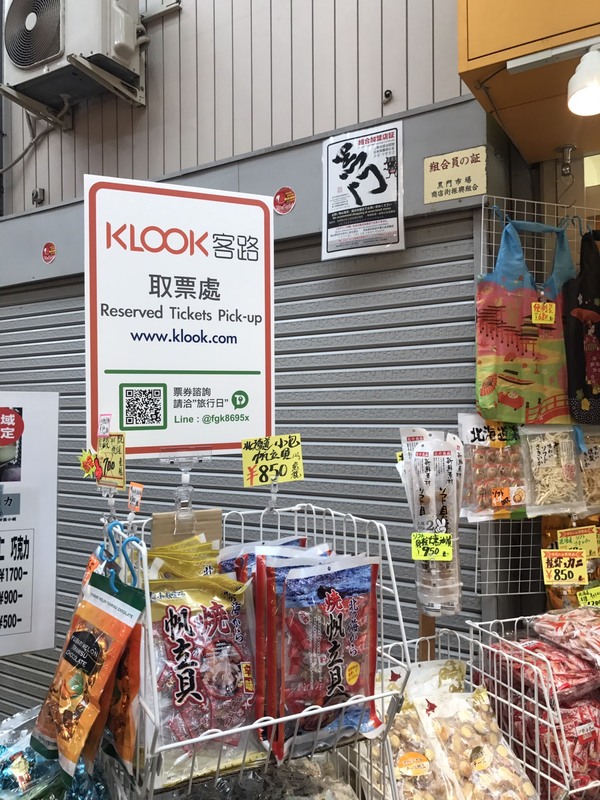 All staff at pick-up point in Kuromon Ichiba Market very friendly and you can get you digital copy of the pass guide by just scan the QR code. Thank you Klook! Super convenience two days pass for my Osaka trip! Mostly used for the Metro rides and some of the free attractions. It is much easier if you know which lines can you used to reach your destinations, but if you lost, the station’s officer always helpful to guide you. 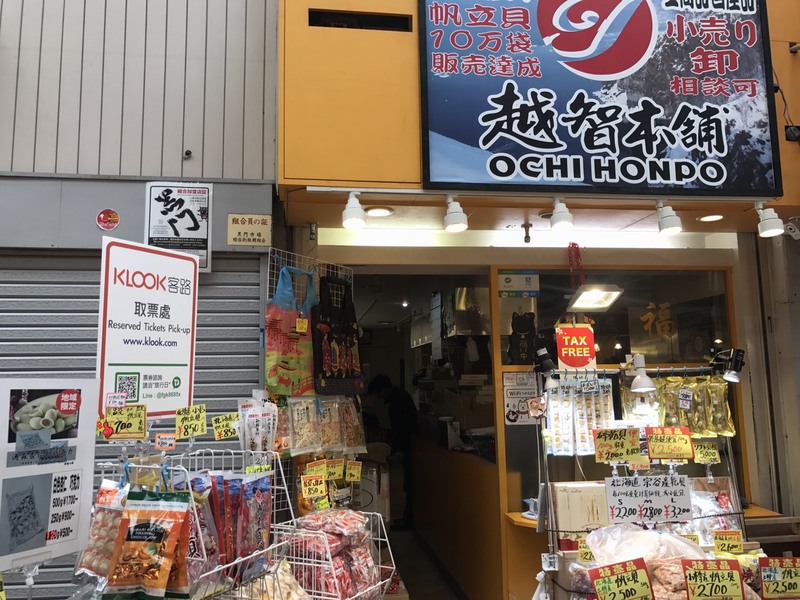 All staff at pick-up point in Kuromon Ichiba Market very friendly and you can get you digital copy of the pass guide by just scan the QR code. Thank you Klook! Purchasing the Osaka Amazing Pass made my travel very easy and convenient! This ticket lets you ride from one train to another easily. This also comes with a booklet that shows must see tourists spots in every area of Osaka. Highly recommended for travellers on a budget! Purchasing the Osaka Amazing Pass made my travel very easy and convenient! This ticket lets you ride from one train to another easily. This also comes with a booklet that shows must see tourists spots in every area of Osaka. Highly recommended for travellers on a budget! The redemption in Kurumon opened earlier than the time listed here, had we known that, we have claimed it earlier so we can maximize the pass. Nevertheless, we really enjoyed all the spots you can visit for free. We tried the Onsen last so we can relax after a very long day. Two thumbs up for this pass. The redemption in Kurumon opened earlier than the time listed here, had we known that, we have claimed it earlier so we can maximize the pass. Nevertheless, we really enjoyed all the spots you can visit for free. We tried the Onsen last so we can relax after a very long day. Two thumbs up for this pass. It was worth it! New feature (i think, because last year i went there's no attraction for these).. Kimono tea ceremony, but we didnt wear kimono.. only for the tea ceremony. the price is ¥3000 but got discount ¥1000 using osaka amazing pass, dont forget to show them the pass. It was worth it! New feature (i think, because last year i went there's no attraction for these).. Kimono tea ceremony, but we didnt wear kimono.. only for the tea ceremony. the price is ¥3000 but got discount ¥1000 using osaka amazing pass, dont forget to show them the pass. Highly recommended! Must visit places are Umeda Sky Observatory, Osaka Castle, Tsutenkaku Tower, Tempozan Giant Ferris Wheel. Make sure to start using the pass early in the morning and it's all worth it. Highly recommended! Must visit places are Umeda Sky Observatory, Osaka Castle, Tsutenkaku Tower, Tempozan Giant Ferris Wheel. Make sure to start using the pass early in the morning and it's all worth it. Had fun doing lots of activities in Osaka. 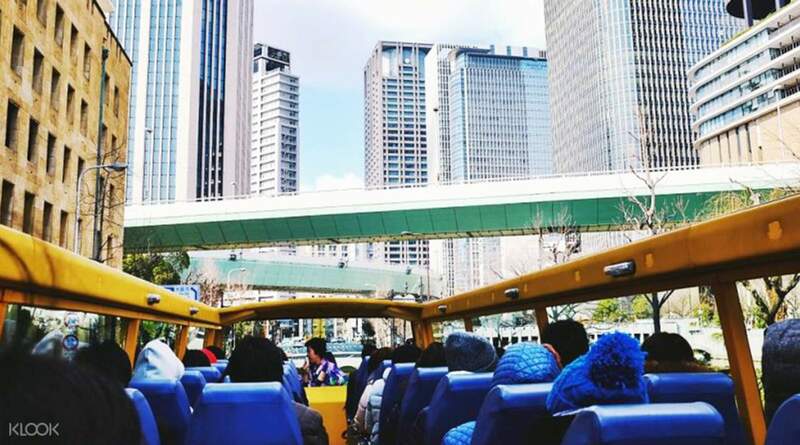 The choices included let us sample many different experiences from boat cruises to onsen to interesting museums, zoo, osaka castle and many other sightseeing. It is value for money if you could cover 5-6 places in 2 days (using a 2 days pass). Had fun doing lots of activities in Osaka. The choices included let us sample many different experiences from boat cruises to onsen to interesting museums, zoo, osaka castle and many other sightseeing. It is value for money if you could cover 5-6 places in 2 days (using a 2 days pass). This pass is really "amazing"! 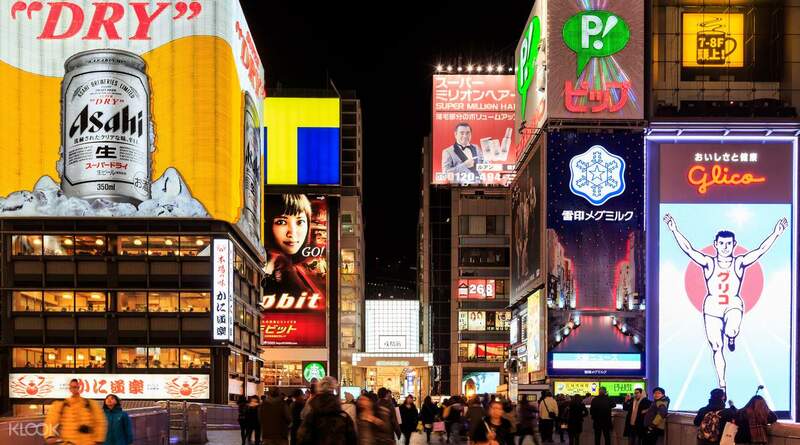 You can tour Osaka and its famous historical landmarks with a lot of savings! 1 day is really not enough, and even the 2 days pass, but thanks to klook as we explore the wonderful osaka! This pass is really "amazing"! You can tour Osaka and its famous historical landmarks with a lot of savings! 1 day is really not enough, and even the 2 days pass, but thanks to klook as we explore the wonderful osaka!